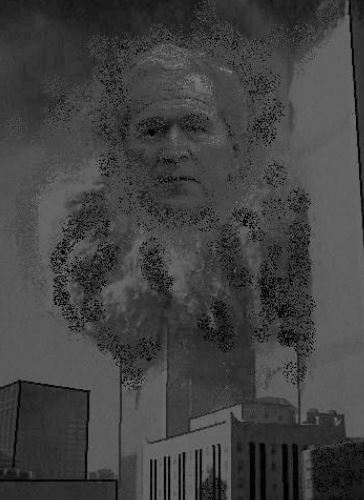 Nine Eleven a Dozen Years Ago – Stirred it the Third World War? The end of the Cold War has lead people to expect “peace dividend”, especially for the Southern Hemisphere. Whoever believed in that should be thoroughly cured from the illusion by now. Anyway, this cure could only be possible if looking at the world as a whole. Those people in the Western world who are not at the lower part of the social strata in large numbers are enjoying their mind killing pampering by “Entertainment” and “Infotainment”. And many times they join in to cheer a war waged for the “safety” of the West (their “world”) and for “Human Rights” and “Democracy”, the later many times bombed into (Non)-existence by depleted uranium covered ammunition. But the media pampered public is many times not aware that their rulers are waging war (in their name) against the world. The public by and large is having the feeling that it´s a “police action” for a “better world” to come. Only when driven too far into the absurd like now in the case of “punishing Syria” in the US a considerable part of the people regains a “Vietnam feeling”. This general situation in deed started to manifest after Nine Eleven. „Further, the process of transformation, even if it brings revolutionary change, is likely to be a long one, absent some catastrophic and catalyzing event––like a new Pearl Harbor„. The US Neocons didn´t have “to wait” too long for that. On the 11th September 2001 they had their “catalyzing” event, their “Pearl Harbor”, costing 2996 lives . The terrible day was the prelude for the “War on Terror”, better to be called the War of Terror, taking hundreds thousands of lives. The justifications went from saving “the Nations security” to “fighting for human rights and democracy”, at times as the pretended measure to reach the first goal. The real aim is – according to the above named paper the full geo-strategic dominance over the world by controlling world´s resources as well as well as the political actions of other countries. The US have expanded their worldwide net of military bases in a real warlike manner, just following the concept. Nine Eleven is the justification to US´s world wide spying activities and countries rejecting the protection by “Big Brother” must be prepared to soon be “visited” by Terrorism, reminding one of the way sinister events turn up if the owner of a Pizzeria rejects the “protection” of the Mafia! US Drones operate almost worldwide and kill people – declared “Terrorists” as well as people not even accused of anything – in thousands. The US and their Western vassals claim the “right” to “take down governments” wherever they want, irrespective of the chaos and heaps of dead bodies they leave behind. It appears justified to say their “War of Terror” is a “Third World War”, especially waged against the Southern Hemisphere, as we see on the example of Syria even knocking at the gate to an involvement of Russia and China. Should we Believe their Story or was it an Inside Job? 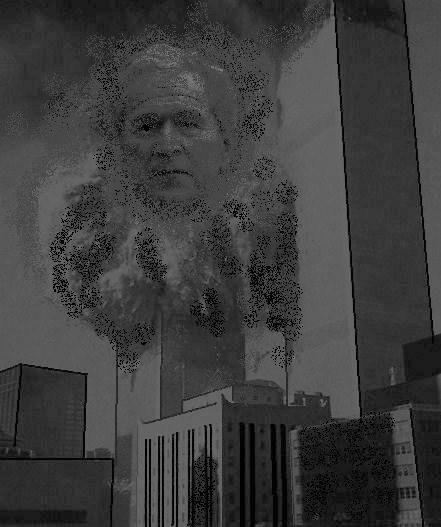 As long as one doesn´t believe that a coincident led four planes the same day out of the way Nine Eleven has to be classed a conspiracy. The only question highly controversial is the question which of the respective theories concerning the conspirators is most fitting. The official theory proposed by the US Authorities (the basis of this Wikipedia article: http://en.wikipedia.org/wiki/September_11_attacks) appears as lousy as the “Oswald Single Shooter Theory” in connection with Kennedy´s assassination in 1963 (https://wipokuli.wordpress.com/2012/01/06/kennedy-and-%e2%80%9eno-change/). In the US a high percentage of people doesn´t believe its own governments as well as the mainstream media, so do many people in many parts of the world. Nevertheless those Main Stream Media dub the doubters “Conspiracy Theorists” in a very negative way. Without doubt the bundle of explanations among those people rejecting the official version is very diverse and some theories display absurd patterns – most loved by the believers in the official one in order to discredit the doubters in general. In the US the Truth Org (http://www.911truth.org/article.php?story=20120909125011358) is most prominent among the skeptics. Architects and Engineers (http://www.ae911truth.org/en/home.html), Scholars (http://stj911.org/), Pilots (http://www.pilotsfor911truth.org/) and Fireman, of whom 343 lost their lives (http://firefightersfor911truth.org/) have formed their respective sub organizations to find the truth behind the incidents. Either certain people active at the stock exchange must have had highly qualified truth tellers on their payroll or must have had foreknowledge of the attacks: http://www.globalresearch.ca/9-11-attacks-criminal-foreknowledge-and-insider-trading-lead-directly-to-the-cia-s-highest-ranks/. The first case would be rather astonishing, the second one extraordinarily frightening! It sounds really fantastic that the most powerful state in this world with detailed regulations for the so called Air Policing – which means the tight control of the air and all planes – would not be able to detect those four planes (http://whatreallyhappened.com/WRHARTICLES/911stand.html). More fantastic is the fact that that very morning an exercise “confused” the control of the air having exactly the very same situation of hijacked airplanes as their topic (http://en.wikipedia.org/wiki/United_States_government_operations_and_exercises_on_September_11,_2001) – wonderful! But, didn´t Condoleezza Rice say never ever would anybody have expected airplanes to be used as a weapon? There was hardly ever a collapse of steel constructions (http://skeptosis.blogspot.de/2007/02/fire-vs-steel-facts.html) because of a long lasting fire except the World Trade Center complex. If one accepts that because of very odd circumstances the Twin Towers collapsed (neglecting the signs of blasts as seen on the films: http://www.youtube.com/watch?v=0TqqzOCPmRE&feature=related) and is willing to totally ignore the more than strange phenomenon of molten metal and ongoing fire after the collapse (http://www.youtube.com/watch?v=Cx33GuVsUtE&feature=related) nevertheless the falling of the famous Building No 7 is almost more difficult to explain within the frame of the official conspiracy theory. The building was not hit by a plane but by parts of one of the Twin Towers. There was a fire not coming from aviation fuel only affecting two or three stores but it collapsed! And it collapsed in a way that any demolition engineer would be proud of for his lifetime. No one having his senses intact can believe that collapse looks so controlled by incident provided he´s not entitled to supply disinformation: http://www.youtube.com/watch?v=AsJQKpnkZ10&feature=related. It appears mysterious how it was possible to plant highly effective means of demolition into that building housing a number of important administrative institutions. But there should be facts to explain this “collapse from the book”. Mysterious or better miraculous appears also the fact that the plane hitting the Pentagon hit that part which was recently structurally strengthened and not yet having its full function back. There are many more miracles like unburned passports (http://www.guardian.co.uk/world/2002/mar/19/september11.iraq) of alleged terrorists coming from the crashed airplanes and so on. As small as the number of People is to be counted to the US Power Elite, this inside Job wasn´t the Job of all of them, as united they are in their desire to control the whole world. The split between those Neocons being represented by the Bush clan and those who like to work more indirect and less spectacular, being represented by the Orwellian Name „Soft Power“ (Orwellian in as far as those are also not shy to strangulate whole national economies) has been sharpened again (http://tinyurl.com/bne6lnr). As much as the Soft Power fraction is afraid of revealing the deeds of their Neocon Counter parts because of fear for final loss of all US reputaion they fear the Neocons´ hazardious actions. This surfaces also in the recent struggle over the US policy in the Eastern Mediterranian (http://tinyurl.com/k27cfqm). The first 9/11 tragedy took place 39 years ago, 1973. 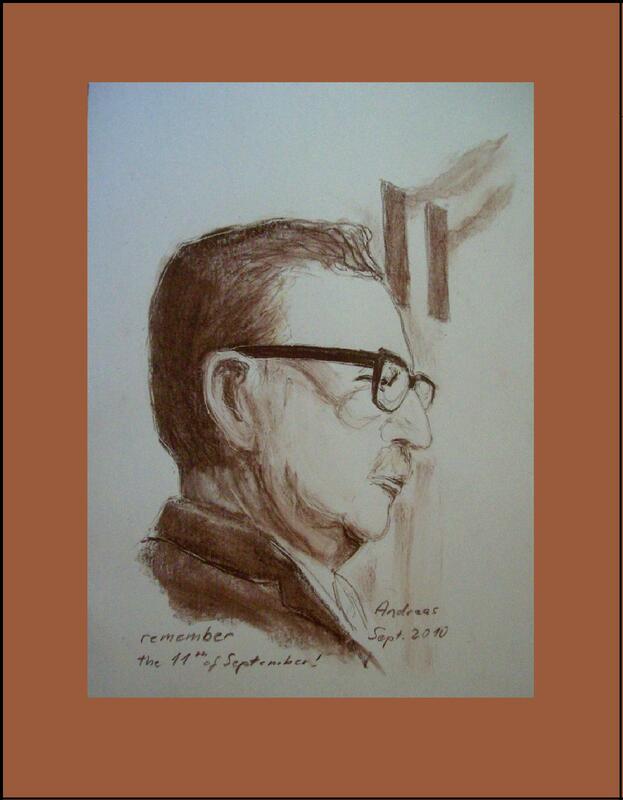 A terrorist organization called CIA backed a fascist coup headed by Augusto Pinochet Ugarte, toppling the elected President of Chile, Salvador Allende. In course of the coup thousands of people were tortured, crippled or murdered, many times their families not knowing where they were buried. It left a country and especially its working class paralyzed and traumatized (http://www.youtube.com/watch?v=00kQorWVIsw). The aim of this terrorist action was to submit the country to Milton Friedman´s and the Chicago school of economics´ “cure” in order to unlash a completely unregulated type of capitalism. This kind of operation followed The Shock Doctrine which is so vividly described by Naomi Klein in her book bearing that very name. Another terrorist attack of gigantic dimensions took place eleven years ago and officially took 2996 lives as well as leaving a nation paralyzed and traumatized. It is that very Nine Eleven of which almost everybody thinks hearing that word: the attacks in the USA. This was the official reason for the War on Terror lasting till today with hundreds of thousands casualties (http://owni.eu/2011/05/05/the-war-on-terror-in-numbers/). 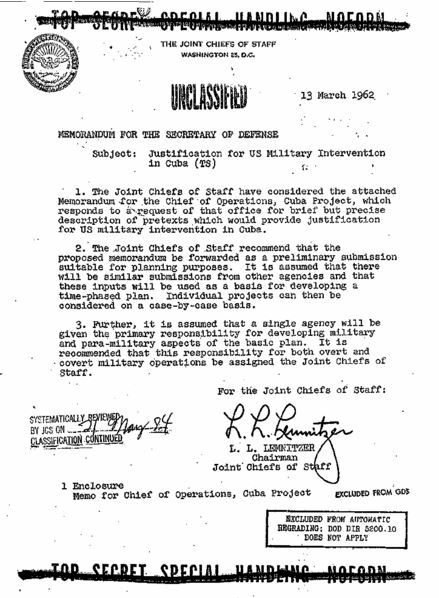 Many believe that this war is just the application of what is called the plan for the “New World Order” as laid down in Neoconservative “Think Tanks” under the name of “Project for the New American Century” (http://www.newamericancentury.org/RebuildingAmericasDefenses.pdf). Was it an “Inside Job”? Noch niemals bin ich vor dem 11. September 2001 (wenn auch fernsehvermittelter) Augenzeuge von gewaltsamem und massenhaftem Sterben geworden. Das Bild der vor der Hitze in den Tod fliehenden Menschen, die sich in die Tiefe stürzten, würde man auch ohne die unzählige Wiederholung der Bilder nie vergessen können. Es schüttelt jeden einigermaßen sensiblen Menschen auch weiterhin die Vorstellung und erst recht die „Anregung“ derselben durch die wiederholten Filmsequenzen, was weitere in den oberen Turmteilen Eingeschlossene durchlitten haben, bevor sie in ihrem Gefängnis in die Tiefe fuhren, um zermalmt zu werden. Sie sind Opfer eines unfassbaren Verbrechens geworden, genau wie die Abertausende von Opfern des folgenden „Krieges gegen den Terror“. Dieses unfassbare Verbrechen ist untrennbar mit einer abscheulichen Verschwörung verbunden. Wer aber gehörte alles zu den Verschwörern? Die offizielle Lesart ist, dass etwas mehr als ein Duzend fanatischer Islamisten mit der Führung der Al Kaida zuzüglich ihrer materiellen wie geistigen Unterstützer in der islamischen Welt die einzigen Verantwortlichen für die Massaker gewesen seien. Etwas nachdenklichere Mainstream-Denker räumen vielleicht ein, dass westliche Politik in ihrer Arroganz am Entstehen dieser mörderischen „Mentalität“ nicht ganz unschuldig gewesen sei. Jedenfalls rufen die „staatstragenden“ Verkünder der Wahrheit besonders in diesem Lande die Verwicklungen in den „Krieg gegen den Terror“, zumindest, was Afghanistan angeht, als logische Konsequenz der Tat von islamistischen Terroristen aus (so der „sozialdemokratische“ Wiedergänger Bismarcks, Struck: „Deutschlands Freiheit wird am Hindukusch verteidigt“). Um aber dem ganzen noch ein wenig Raffinesse zu geben, ist es auch nötig, für anspruchsvollere Rezipienten a bisserl Verschwörung über die reine Tatplanung hinaus zuzufügen. Da ist Stefan Aust, ehemaliger „Spiegel“-Chef, zur Hand. Er deutet die Tat als Verschwörung der Al Kaida, nicht nur einen triumphalen Schlag gegen die USA ausgeführt haben zu wollen, sondern sie in einen langen blutigen und schwächenden Krieg verwickeln zu wollen. Was er nicht sagt, das war damals das Ziel der USA-Regierung gemäß dem Plan von US-„Sicherheitsberater“ Zbigniew K. Brzezinski, die Sowjetunion in den Afghanistan-Krieg zu locken. Dieser Mann hat auch in seinem Buch „The Grand Chessboard“ die These eines britischen Historikers vom Beginn des letzten Jahrhunderts wiederbelebt, wer die Welt beherrschen will, muss das Zentrum Eurasiens beherrschen. Die Mächtigen in den USA wären dann also einfach nur in die Falle getappt, die sie selbst nur zu gut kannten? Hier ist eine persönliche Erinnerung des Autors am Platz. Als ich am 11. 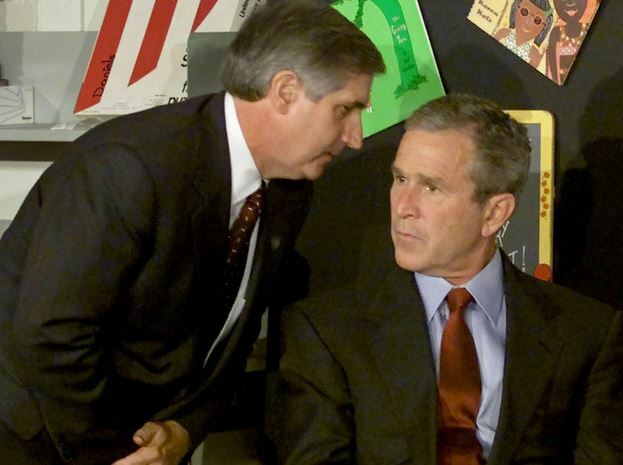 September 2001 das Video von Bush in der Schulklasse und seinen Gesichtsausdruck bei der ganz kurzen Übermittlung der Nachricht „USA under attack“ sah, meldeten sich meine Instinkte und schrien mir zu: dem Mann wird nichts wirklich Neues gesagt, aber es ist so ungeheuerlich, dass es selbst ihn durchzuckt! Zu verschlagen und falsch sah das Gesicht des Präsidenten der USA gerade in diesem Moment aus. Eilig antwortete meine Ratio: Unsinn, das ist so ungeheuerlich, dass es Wahnsinn sein müsste, und, viel wichtiger, so eine Tat könnte man gar nicht geheim halten! Über eine ganze Reihe von Jahren habe ich – bei aller sonstigen Skepsis der Politik und der Moral der Mächtigen in den USA gegenüber – mich mit dieser Sicht „beruhigen“ können. Aber irgendwann war ich gezwungen, mir sowohl den Fortgang der Geschichte als auch den Ablauf der Attacken im Einzelnen erneut anzuschauen. Was kam danach und was war davor? Nur wenige Tage nach den Anschlägen wurden die US-Militärs mit der Aufgabe konfrontiert, den Krieg im Irak zu planen, wie der US General im Ruhestand, Wesley Clarke in fast humoristisch offener Weise darlegte: http://www.youtube.com/watch?v=5-TZxI8m8ss. Dabei war keine Rede davon, dass Saddam Hussein irgendwas mit den Anschlägen zu tun gehabt hätte. Und schnell war auch beschlossen, dass man sich einer Liste von sieben Ländern in fünf Jahren „annehmen“ würde. Nun, die Liste ist zwar immer noch nicht abgearbeitet, aber man arbeitet daran. Eine „ahnungslose“ Macht hinterhältig getroffen? 1) die Überraschungstheorie, die Mächtigen der USA seien gemäß der offiziellen Lesart von einem hinterhältigen Anschlag überrascht worden. 2) die Theorie, man habe etwas gewusst, es aber aus politischen Gründen (als Rechtfertigung für weiteres Vorgehen) zugelassen. 3) die Theorie, die Sache sei letztlich nur aus den USA heraus organisiert worden. Alle drei Theorien verdienten eine genaue wissenschaftliche Überprüfung, eine so kühne wie berechtigte wissenschaftliche Forderung! Dabei ist die Beschränkung auf drei Theorien etwas holzschnittartig vielleicht dem Charakter eines Interviews geschuldet. Es erscheint wahrscheinlich, dass dieser akribische Wissenschaftler die Theorien um eine weitere ergänzen wird. Die zusätzliche Möglichkeit sähe so aus: Inspiration, Hinweise auf geplante Übungen der Luftüberwachung zu einem bestimmtem Zeitpunkt (durch alte Kanäle aus intensiven Kooperationszeiten mit Al Kaida) und danach die Übernahme der Geschichte durch „remote control“, Fernsteuerung der Maschinen und entsprechende Sprengungen (wozu es Äußerungen von anderen Rechercheuren gibt). Dies würde die Al Kaida im Glauben lassen, sie hätte diesen gewaltigen Schaden angerichtet (Führungsmitglieder sollen über die Wirkung überrascht gewesen sein), und man hätte auch im „Umfeld“ Ausdrücke von zustimmendem Jubel, was die Attacke als komplett von Al Kaida kommend stützen würde. Darf man den Mächtigen in den USA so etwas zutrauen? Die USA haben daran mitgewirkt, das Nazi-Regime niederzuringen (zu dessen Angriffsfähigkeit sie allerdings vorher insbesondere durch die intensive Zusammenarbeit von General Motors und Ford nicht unerheblich beigetragen hatten). Sie haben in den Nürnberger Prozessen mit den anderen Alliierten die Verdammung von Angriffskriegen und deren Vorbereitung festgeschrieben. Sie werden als Bewahrer der Freiheit Westeuropas gepriesen (dessen politische Eigenständigkeit sie aber durch die Gladio-Operationen der „Geheimarmeen“ brutal hintertrieben haben). Sind die Mächtigen der USA nicht Verteidiger der Freiheit und keine Mordbuben? „False Flag Operations“ haben im Golf von Tonking zur Rechtfertigung des Vietnamkriegs gedient. Von den Mordaktionen und versuchten Mordaktionen gegen unliebsame Politiker wie Lumumba und Castro sowie den antidemokratischen Putschen von Chile bis zum Iran und vielem mehr wollen wir gar nicht reden, aber Massenmord an US-Bürgern, Unterstützung der Entführung von US-Flugzeugen? Dabei spielten auch Pläne zur Fernsteuerung von Flugzeugen eine Rolle, etwas zu dem Experimente liefen. Alle Mitglieder Vereinigten Stäbe sowie Lyman L. Lemnitzer sowie Brigadier General William H. Craig unterschrieben den Plan. Präsident Kennedy war verantwortungsvoll genug, die Ausführung dieser Pläne zu untersagen, aber die Initiatoren wurden nicht wegen der Vorbereitung eines Angriffskrieges vor Gericht gestellt, sondern Lyman L. Lemnitzer wurde Vorsitzender und später Oberkommandeur der NATO in Europa. Kennedy war allerdings kurze Zeit später tot. Nun hat die Regierung der USA sich auch noch offenbar mit dem Code-Namen „Geronimo“, den sie Osama Bin Laden für die Vorbereitung der Tötungsoperation vergeben hat, in mehrfacher Hinsicht die Maske vom Gesicht gerissen! Dadurch, dass sie einerseits Osama Bin Laden zum größten Schurken der Welt erklärt hat, und ihm andererseits den Namen dieses Freiheitshelden als Codenamen zuteilt, erniedrigt sie den Indianerführer ebenfalls zum Schurken, unglaublich! Zum Weiteren erweist die US-Regierung sich als unglaublich dumm, denn der Symbolgehalt dieser „Namensgebung“ ist ja regelrecht darauf angelegt, ins Gegenteil umzuschlagen. Für diejenigen Menschen, die der Regierung der USA ablehnend gegenüberstehen, muss nun widerum diese Namensvergabe den Bärtigen adeln. Oder ist das die endliche Ehrung desjenigen (Osamas), der ihr so ungeheure Dienste geleistet hat? Schließlich aber zeigt die US-Regierung mit diesem symbolträchtigen Griff in die historische Namenskiste, was sie von allen Menschen, die dem Allmachtsanspruch der USA entgegenzutreten bereit sind, hält: es sind für sie eben Indianer, in ihrer Vorstellung lästige „Wilde“, die es nach dem Grundsatz zu behandeln gilt: „nur ein toter Indianer ist ein guter Indianer!“. Ein US-Präsident aber, der dieses Treiben duldet, erweist sich als nichts anderes denn als „Stupid White Man“, um mit dem scharfzüngigen Michael Moore zu sprechen (http://www.amazon.de/Stupid-White-Men-Abrechnung-Amerika/dp/3492045170). oder: Osama ist tot, es leben Gaddafi, Assad und Ahmadinedschad! Rund ein Jahrzehnt lang war der Bärtige das Markenzeichen des „Kriegs gegen den Terror“, dieser sonderbaren Umschreibung für den asymmetrischen Weltkrieg der US Amerikaner. „Sein“ Netzwerk Al Kaida, das in erster Linie ein Produkt und Geschöpf des („geglückten“) Plans vom früheren US „Sicherheitsberater“ Zbigniew Brezinski war, der damaligen Sowjetunion „ihr Vietnam“ zu bereiten und auf dem „Grand Chessboard“ den Zentralplatz des Tri-Kontinents Asien-Europa-Afrika, nämlich Afghanistan, zu besetzten, diente als wohlfeile Rechtfertigung dafür, die Welt mit Krieg zu überziehen. Spektakulärer „Anlass“, Afghanistan zu besetzen und den längst bestehenden Plan zum Einfall im Irak durchzuführen sowie an diversen Schauplätzen mit seinen Vasallen zusammen martialisch aufzutrumpfen, war dann „Nine Eleven“, von dem nicht nur der Paranoia verdächtigte „Verschwörungstheoretiker“ sondern auch vorher im US Staatsdienst Stehende mit diversen Argumenten unterlegt immer wieder behaupten, „this was an inside job“. Ob der Mann wirklich noch gelebt hat, ob er nun tatsächlich von US-Kräften getötet wurde, oder längst in einer Höhle des afghanisch-pakistanischen Grenzgebiets verblichen ist oder aber tatsächlich irgendwo als „US-Pensionär“ in Sicherheit sitzt (eine zugegebenermaßen kühne, aber nicht völlig absurde Option), wird schwer feststellbar sein. Stark entstellte Fotos eines Leichnams sind nicht unbedingt beweiskräftig und hin und her flitzende Meldungen, wie die von CNN, einer „Seebestattung nach islamischem Brauch“, machen die Sache nicht unbedingt glaubwürdiger. Einsichtig ist, Osama hat seine Schuldigkeit getan, Osama kann gehen! Längst hat das Imperium gelernt, was nach dem Ende des langfristig so „stabilen“ Kalten Krieges nötig war, nämlich die Welt mit wechselnden Inszenierungen zu bedienen. Da im Westen nicht wie in diversen anderen Ländern die wirkliche Machtelite offiziell auf dem „Thron“ sitzt, sondern hinter dem Vorhang des demokratischen Scheins agiert, wechselt man wohlorganisiert nicht nur die angeblichen Gesichter der „Macht“ psychologisch gut untermauert aus, sondern auch die Paradigmen der offiziellen Handlungsmotive werden publikumswirksam ausgetauscht. Nach der wirkungsvollen, aber letztlich doch medial verbrauchten Klamotte des „Selbstschutzes“, „Krieg gegen den Terror“, ist jetzt eine „altruistischere“ Masche angesagt, man führt wieder Krieg für Demokratie und Menschenrechte! Osama war für das vorherige Motivationstheater der Richtige, aber jetzt hat man Gaddafi, Assad und Ahmadinedschad. Bei Saddam Hussein hatte man noch, wie unglaubwürdig auch immer, eine künstliche Verbindung zum Bärtigen hergestellt. Wie gefährlich das Netzwerk wirklich ist, dafür legt nicht nur die eigentlich überflüssige und im Prinzip gefährlich an der pakistanischen Souveränität vorbeiagierende Operation Zeugnis ab, sondern auch die geförderten „Volksfeste“ in den USA, die ja eigentlich ein wirklich gefährliches Netzwerk noch gefährlicher machen würden, Weltpolitik als Fußballsiegesfeier! Dabei ist es natürlich klar, die arrogante Selbstinszenierung westlicher Omnipotenz könnte tatsächlich wirklich labile Islamisten zu Wahnsinnstaten verführen, aber a bisserl Terror kann ja selbst unter den geänderten Motivations-Paradigmen gar nicht schaden, denn da muss man eben noch strenger überwachen!